Loki: The Smart WiFi Meat Thermometer! Sign up to be the first to know about upcoming Loki news. Sign up to be notified about Loki news. Set an alert to notify you when your meat reaches, or drops below, a certain temperature. No need to even check the app - Loki lets you know when your food is done. Unlike some remote thermometers, Loki uses both WiFi and the Internet so you can read your thermometer from your mobile device anywhere you have access to the web. Put on the ribs and enjoy the game instead of watching the grill. Loki accepts up to four probes. That means you can cook four different kinds of meat at once and everything will come out perfect, every time. Loki integrates multi-colored LEDs in the base unit so you can see the progress of your cooking at a quick glance. The light ring will illuminate and change color to indicate when your target temperature has been reached. Loki probes are slimmer than a pencil and the base unit is just about the size of a baseball, so it's not big or bulky. Plus, it's equipped with a magnetic bottom so anchoring is easy. 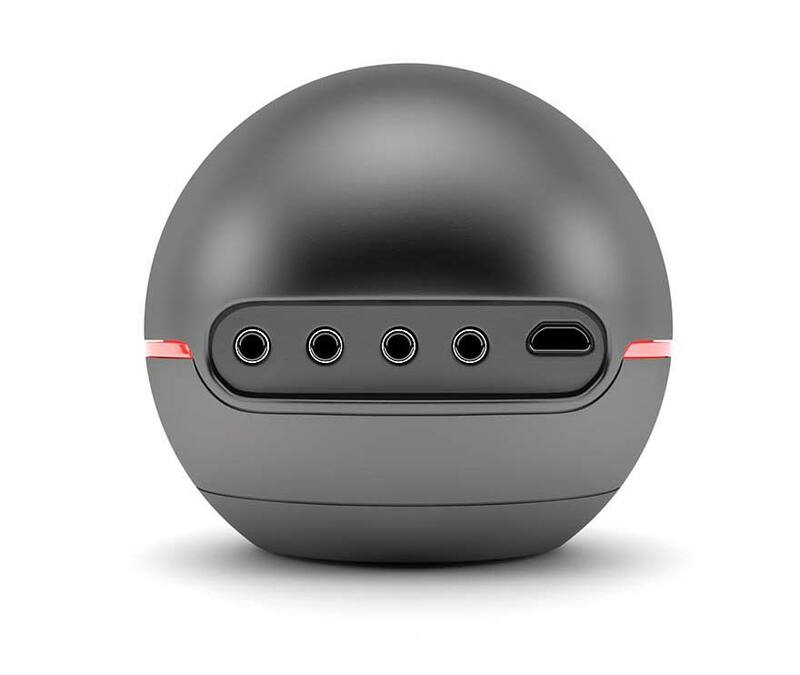 Best of all, you can power it two ways, with a 9V battery or with a Micro USB power cord. With Loki's state-of-the-art mobile app, you can set temperature alerts, monitor your temperature in real-time, and even see your temperature profile over the duration of your cooking to fine-tune your process and get the perfect results, every time. Loki makes you an expert chef... and the Loki app makes it easy! Simply tap the icon for the type of meat you want to cook and set the target 'ready' temperature. It's really that easy! The app predicts cooking time and actively tracks time remaining so you can plan your day. Check internal food temperatures instantly without opening your oven, BBQ or smoker. Set an alert to notify you when your meat is done, and for temperature exceptions or timeframes along the way to the perfect finish. Not sure how to cook your meat? 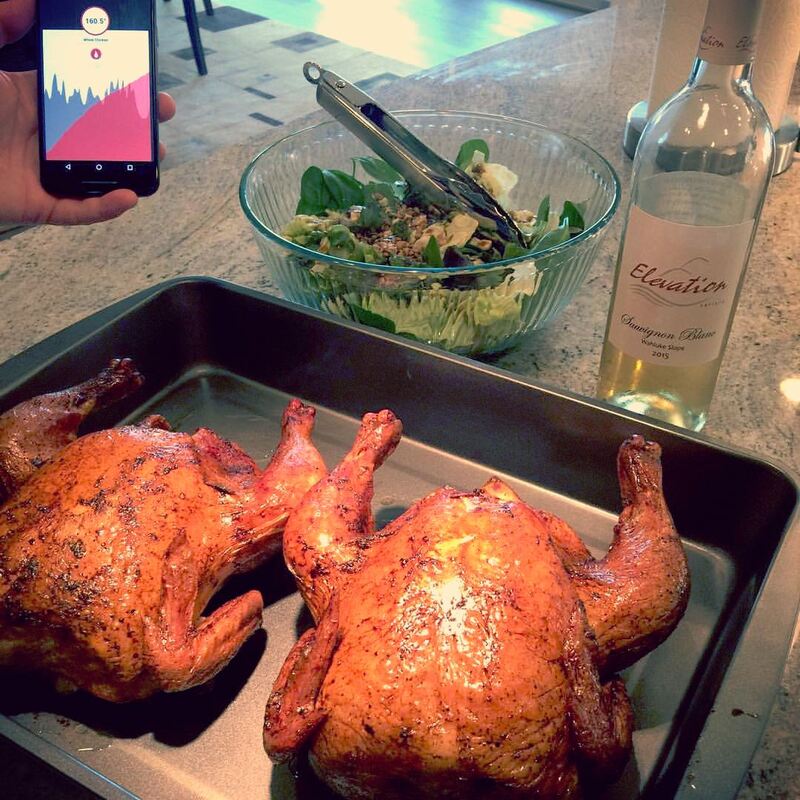 The app suggests the right temperature and cook time for safe consumption, and offers recipes too! Receive highly accurate temperature data +/-2°F from 32-500°F (0-260°C). The app tracks and reports the progress of up to four different probes providing four internal and four ambient temperature readings at once. Sign in using social media and share cooking profiles of your latest success along with recipes and great photos! Now go ahead and run all those errands, the Loki app is with you all the way! Q: Can Loki control the temperature of my oven or smoker? A: No, Loki is a highly efficient notification system. It can alert you when your meat temperature or the ambient temperature of your oven, smoker or grill fall outside the limits you set, or reach a target level, but it cannot control the temperature of your cooking equipment. Q: Does Loki adjust for the altitude I’m at when it recommends cooking time/temp? A: Yes, Loki’s smart technology recognizes the altitude of your mobile device and suggests cooking time and temperature accordingly. Q: What kinds of mobile devices will Loki talk to? A: All Android and Apple mobile phones, iPad and tablets. Q: How does Loki talk to my mobile device? A: The Loki base unit is loaded with smart electronics that once paired with the WiFi system near your cooking equipment (ex., your home WiFi system) communicates with the Loki app on your mobile device over the internet. As long as your device has access to the internet, it can receive notifications from Loki no matter how far away you are. If you can get an email message, you can receive a Loki alert. Q: What if I want to use Loki when I’m out in the wild camping? Will it work there? A: As a matter of fact, it will! Loki’s base unit is equipped with technology that will talk exclusively to the Loki app on your mobile device, within a limited range (ex., your campsite), when you are in an area without WiFi or mobile device coverage. Q: Do I have to use a 9V battery to power the base unit? What if my battery dies? A: Loki gives you choices. You can use a 9V battery or a standard Micro USB power cord. So, the same cord used to charge an Android mobile phone or tablet can be used to power the Loki base unit while you are using it. Q: What kinds of cooking equipment work best with Loki? A: Loki is designed for use in BBQ grills, open grills, ovens, and smokers. Loki is not recommended for rotisserie or sous-vide. Q: Can I use Loki for cooking fish? A: Yes, Loki is ideally suited for any meat, poultry, or fish of reasonable size to accommodate the probe. Q: What if I want to repeat the exact same cooking sequence I used before? A: Loki’s advanced technology remembers settings you’ve used before and allows you to select them again from your history. You can even share the details of your cooking sequence with friends or post them on social media. Based in the Seattle area, Loki Products is a family owned and operated company born out of our large traditional weekly family gatherings around the dinner table to share a delicious meal. We are a family of engineers, marketers, creatives, and amateur chefs who love food. Our conversations naturally turned to brainstorming an easier, more convenient way to keep an eye on the progress of our favorite slow cooked meats. We wanted to spend more time visiting with each other, instead of babysitting the oven, smoker, or grill. The result is Loki, The Smart WiFi Meat Thermometer. In Loving Memory of Gary Hammer (1951-2015) who brought us all together at work and around the dinner table. He was an amazing leader and a world-class home chef. This one’s for you Gary! We are excited to have you as a part of the Loki community. Continue supporting Loki and share Loki with friends and family. We look forward to having you as a customer! We will notify you about product launch dates and discounts as we get closer to our campaign, so stay tuned! We would love to hear from you. Please let us know if you have any questions or ideas.